Transitions lenses are an ideal choice if you wear prescription glasses and do not want the hassle of switching to sunglasses when you step outside. Transitions lenses not only shield your eyes from the sun, but they also have many benefits for eye health. That is why we carry a choice of these lenses at our Providence optometrist office, Advanced Eye Care Associates. Transitions is the name brand for the top photochromic lenses or light-adaptive lenses recommended by eye care professionals. Transitions lenses work in prescription glasses by using photochromic dyes to quickly darken the lenses in sunlight. Inside, the lenses appear completely clear and no different than any other prescription glasses. But outside, the lenses act as sunglasses and darken in response to the intensity of the sun's UV rays. In other words, on a bright, sunny day, the lenses will darken deeper than on a cloudy day. Once you step back inside, the lenses rapidly return to clear. This advanced technology also works indoors and outdoors to filter blue light from video screens and the sun. Transitions lenses protect your eyes from harmful UVA, UVB and blue light rays. Exposure to UV rays can lead to eye fatigue. You may not realize it, but your eyes have to work harder in response to changes in light. This can result in headaches, eye pain, and short-term vision impairment. More worrisome, UV rays may increase your risk of cataracts and age-related macular degeneration. Transitions lenses block 100% of UV rays. Blue light – like from your smartphone or laptop – also causes eyestrain and eye fatigue. If you find yourself rubbing your eyes after staring at a screen, blue light may be to blame. In comparison to traditional prescription glasses, Transitions lenses filter at least 1.4 times the indoor blue light and at least 8 times the outdoor blue light. Transitions lenses offer a choice of lenses to meet the needs of prescription glasses wearers of all ages. After a comprehensive eye exam with one of our Providence optometrists, we can recommend the right type of Transitions for you as these lenses are designed to fit almost any frame and prescription. 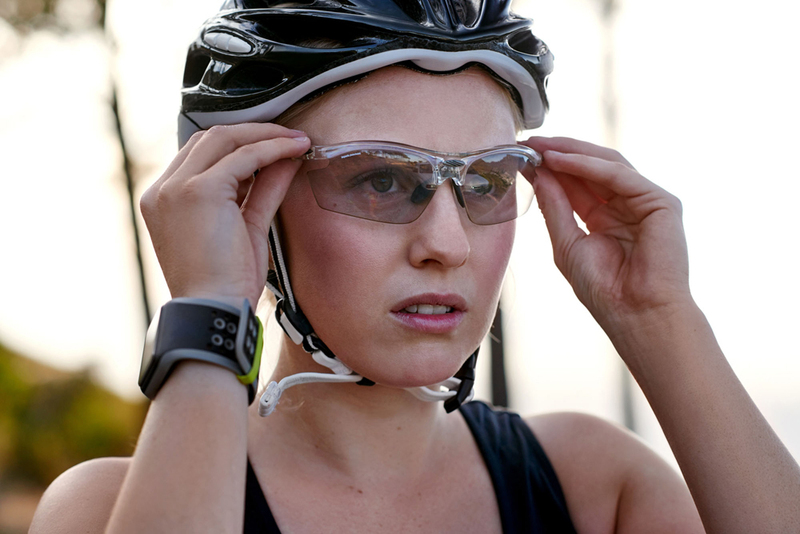 Transitions offer special lenses to improve performance in certain conditions, such as reducing glare in sports and driving. If you are ready to make the switch to Transitions lenses, call us today for an appointment at our Providence optometrist’s office, Advanced Eye Care Associates: (401)-331-2020. Our experienced team would love to help you see clearer in style.